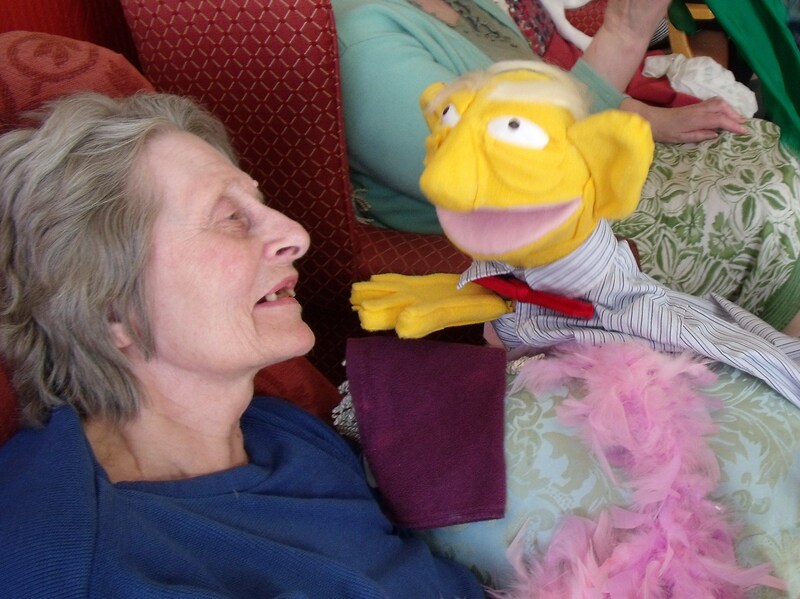 puppetselderlycarehome | creative use of puppets in a care home. 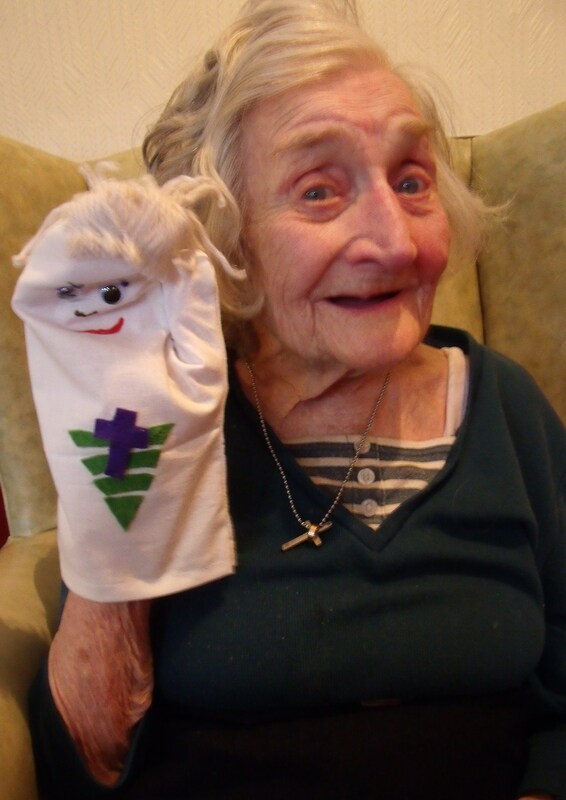 I am a Participatory Artist with an interest in using puppets to communicate with elderly people some of whom may have dementia. This creative project is about exploring the use of puppets to generate ‘Now Moments’ of communication; moments in time where the person is stimulated to respond by communicating their interest and emotions. Some of these people have no, or very limited ability to verbally communicate.